In 1870, Friedrich Anton Reiche founded a production facility for tin coatings in Dresden, and later established a factory for tin boxes and chocolate moulds in 1888. Anton Reiche manufactured probably the most numerous and beautiful chocolate moulds. 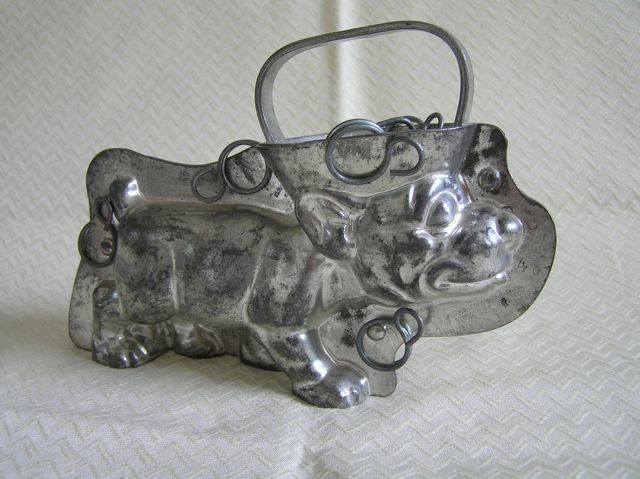 In particular they developed the Platinol moulds, nickel-coated sheet metal moulds. 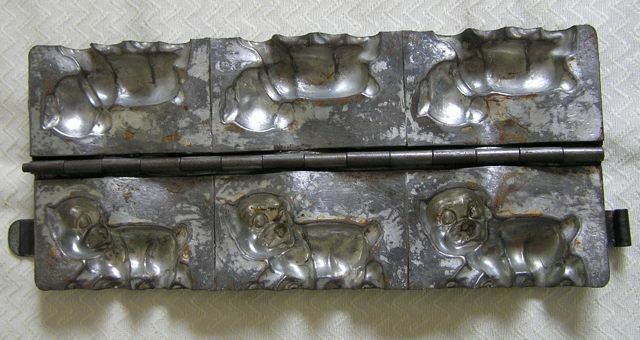 It was the variety and diversity of their products which made them become the most sort after moulds in the chocolate world. In 1932 there were as many as 50,000 different moulds available. 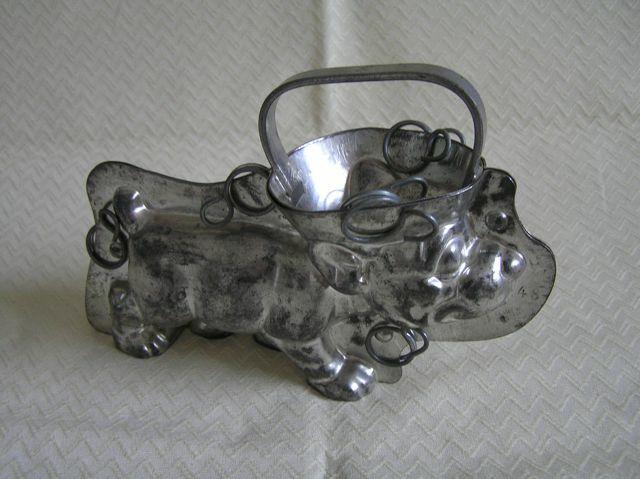 A second factory was established in the Czech Republic in the 1930’s, where the moulds had the letters C.S.R. and Monos stamped on them. After the 2nd World War, the Reiche company was closed down, but was refounded again in Dresden under the name of VEB Schokoladenform. 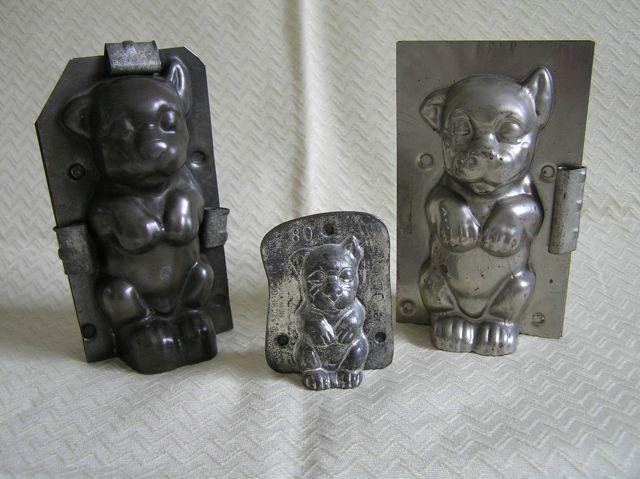 All of the best quality Bonzo moulds came from the Reiche factory, and were quite varied in their size and shapes but all were very accurate in their modelling. This is possibly the most frequently found mould shape, both in large and small size. 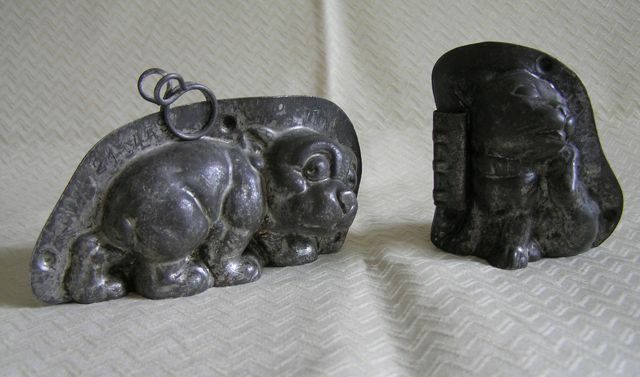 The one on the right is a later reproduction and has no number stamped on it. 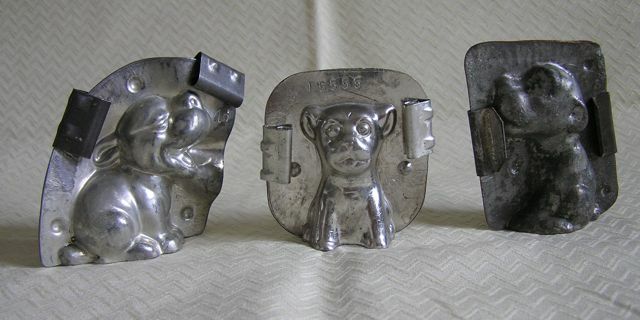 Three small to medium sized moulds with Bonzo in different sitting positions. Bonzo slinking away & Bonzo scratching his ear. 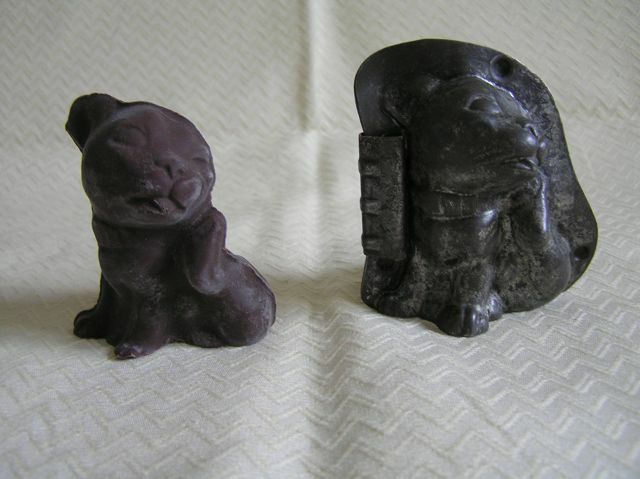 On the left is the actual chocolate figure made with this mould. Three walking Bonzos joined to make one long mould. 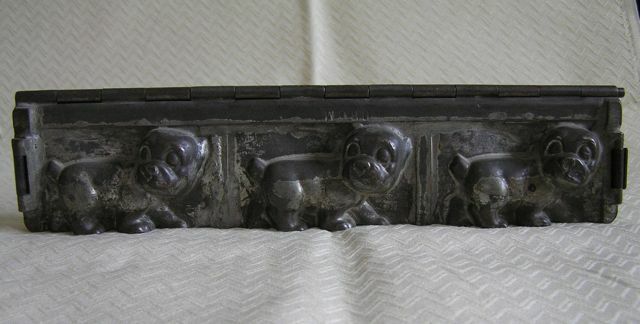 The inside of the mould, showing the detail of the mouldings. The largest and most impressive mould I've found so far, this standing/walking Bonzo mould is in three parts - two sides and a top part on the head. 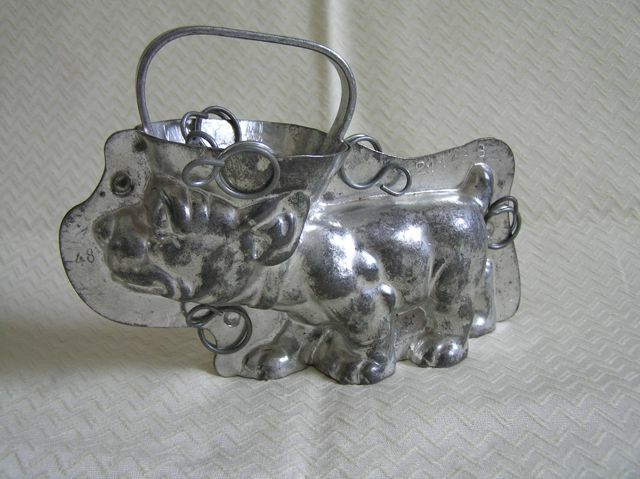 It measures 7 inches long by 4 inches high.